CHANDLER, AZ (June 9, 2015) – Two books with potent, synergistic messages reached a new record this summer with a combined 60,000 copies sold globally. America’s hunger for leadership and thirst for solutions to stabilize a tumultuous economy are driving thousands to devour the pages of Return to Order and An American Knight. This June, both books can be purchased for the price of one, providing an affordable, family focused gift for fathers that is especially inspiring to men. “An American Knight, a book about a man of integrity and honor, is one which every American needs to read,” said Sgt. Jeremiah Workman, Navy Cross recipient and author of Shadow of the Sword: A Marine’s Journey of War, Heroism, and Redemption. He knew Ripley personally. “Thankfully, Norman Fulkerson has provided the story of a great man who will no doubt inspire future generations of other true patriots to follow the path so bravely charted by Col. John Ripley.” An American Knight is in its fifth printing and has sold more than 20,000 copies. 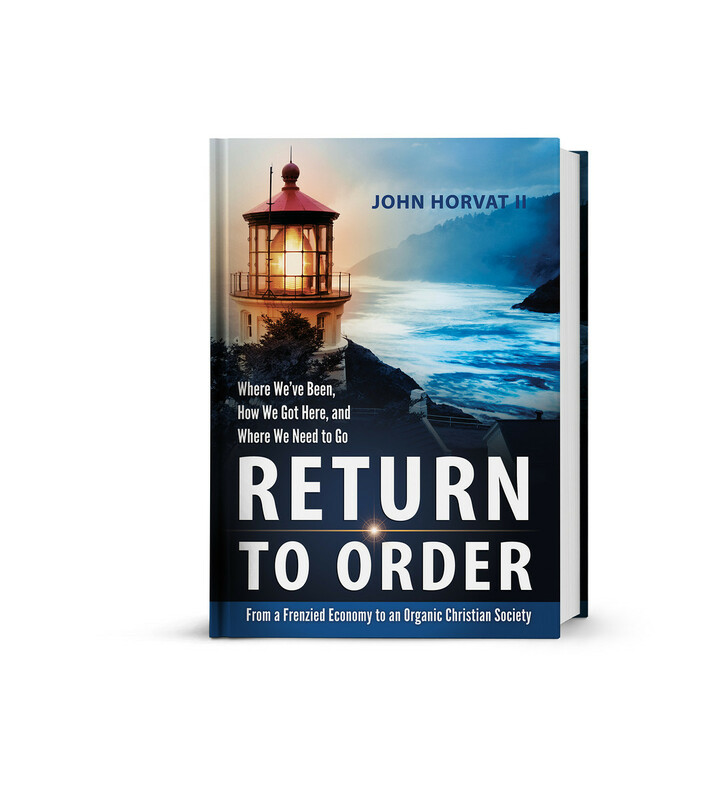 Return to Order: From a Frenzied Economy to an Organic Christian Society, in its second printing with more than 40,000 copies sold, also delivers authoritative, actionable ideas based on 20 years of research by author, scholar and internationally followed speaker, John Horvat II. A Titanic Without Lifeboats — Should We Be Concerned About the World Economy? Horvat’s remedies for America’s socioeconomic disorder have been heard by more than one million people through presentations in five-dozen cities, as well as almost 250 radio and television interviews. He also contributes to media outlets such as American Thinker, CNS News, TheBlaze.com, The Christian Post, FOX News, The Wall Street Journal and The Washington Times. Horvat and Fulkerson are joining forces in a campaign to get America back on track by speaking together across America and through this special June offer. 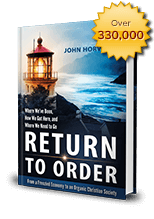 To order the hardcover edition of Return to Order for $18.65 (a 15 percent discount) and receive a free hardcover copy of An American Knight, please click here. Shipping is free (allow ten days). This offer ends on July 1. 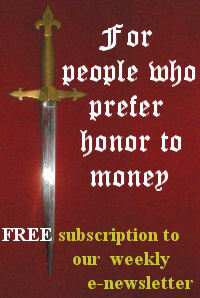 Horvat also communicates to thousands of people weekly through a free Return to Order newsletter. To subscribe, click here. For more information or to request a presentation or book signing, please contact Linda F. Radke at 480-940-8182, or email info@fivestarpublications.com. This entry was posted in Featured and tagged An American Knight, Father's Day gift, Free book, Praise for Return to Order, Return to Order, Special Offer by John Horvat II. Bookmark the permalink.